How to Print Shipping Labels With StorePep? A Shipping Label is an identification tag affixed to a package which specifies its contents. 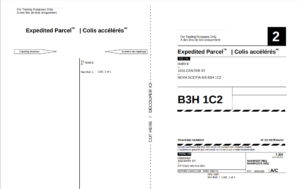 A Shipping Label used by a carrier lists the origin and destination addresses. 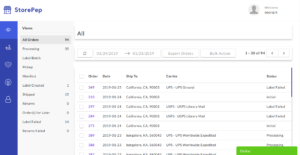 How To print Shipping Labels in StorePep? StorePep is the complete end-to-end shipping solution for your online store. With Storepep, you can generate and print shipping labels in bulk with just the click of a button. 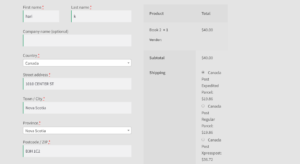 Label for an order can be printed after the order status is changed to processing, i.e. after the carrier service has been automatically selected and updated for the order. Let us see how to print shipping labels with StorePep. Step 1: From your store, add a product to cart and place the order. You can see the Live shipping rates at the checkout page. Step 2: Head over to your StorePep dashboard. Once your customer has paid for the order, the order status will change to “Processing”. Only then, the order will be imported to your StorePep account. Now, go to “All Orders” and you can see the orders which were placed. Step 3: The order will be automatically in the Processing stage. Now select the particular order, go to “More Actions” and click on “Generate Labels“. Step 4: Go to “Label batch“, Click on the order and there will be an icon for downloading the Label. Here is a sample Label for Canada Post. How to Cancel the Label and Re-create a new one? To cancel the Label, you have to cancel the shipment first. 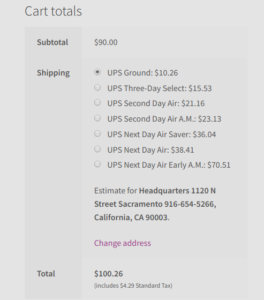 For this, select the order, go to “More Actions” and click on “Cancel Shipment“. Once the shipment is canceled, the Label which was already generated will be deleted and the Order status will change to “Initial“. Now, for creating a new Label for this order, select this order, go to “More Actions” and click on “Change status to Processing“. Now, repeat the Steps 1-4 for creating a new Label for the order. What to do if the Label is not being generated? Labels won’t be generated if either or both the Ship-from address or Ship-to address is invalid. So, make sure that both these addresses are valid in order to generate your Shipping Labels. Consider an example, in which the address given is invalid. The Rates for shipping will be generated if a valid zip code, city, and country are given. 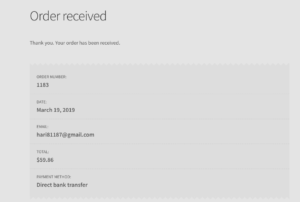 After the order is placed, it is imported into the StorePep account and the carrier service is automatically selected and the order status has moved to processing (Order number: 349). When you try to create a Label for the selected order, you will get a failure message as the given address is invalid. If the payment method given by the customer is Cash on Delivery (COD) for an International Shipment and the Carrier doesn’t provide COD services for International Shipments, then the Label won’t be generated. 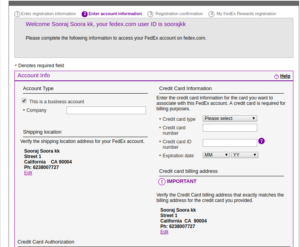 The Store Owners will have a carrier account (Eg: FedEx account) which is created by providing the Credit card details of the owner. Each time the Label is generated, an amount will be deducted. If this wallet amount is exhausted, then the Label won’t be generated and will throw the following error message. In case you still have questions, just fill out our contact form and our team of shipping experts will get back to you.